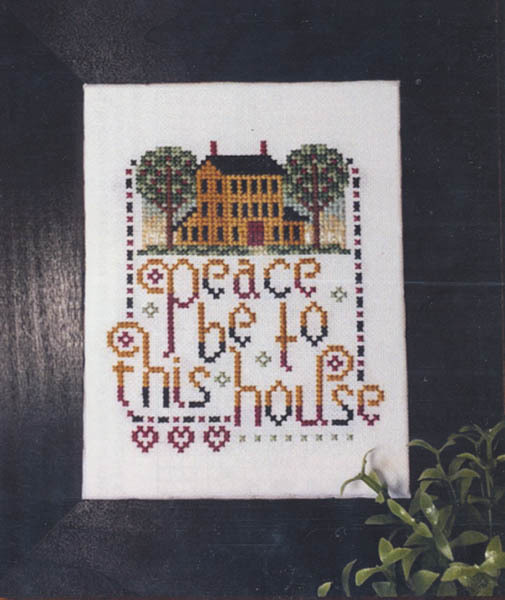 Large country home "Peace be to this house" small sampler. Count: 54w x 64h. Model stitched on 28ct white Zweigart Jubilee. .